When it comes to the lighting design in your Houston bedroom, you may feel like there’s not much to improve upon, however, this is likely not the case. Your bedroom should act as a peaceful and calm retreat that supports relaxation and tranquility, and having the proper lighting can go a long way in helping you create a sleeping oasis. At M&M Lighting, we’ve helped hundreds of people upgrade their bedroom lighting through our large selection of recessed lights, lamps, and pendant lights. 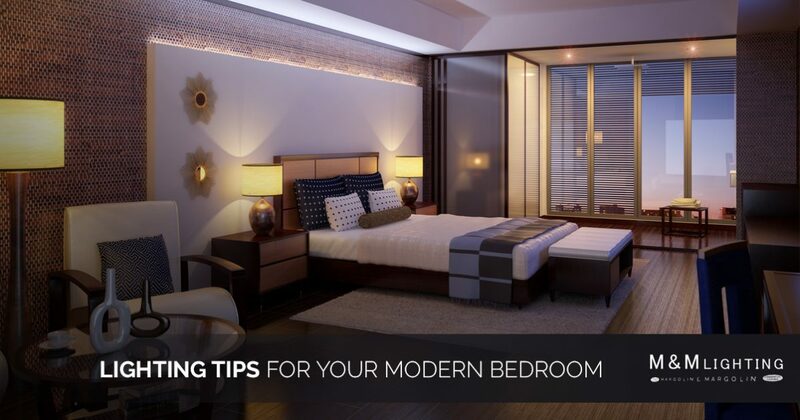 In this blog, we’ll discuss some tips and tricks to improve the lighting in your modern bedroom. If you need assistance choosing the right lighting solutions for your home, contact the professionals at M&M Lighting today! While the lighting in your bedroom should be functional, it should also set the mood for a peaceful and tranquil space. Unless you have a designated desk or office space in your bedroom, there’s a limit to how much work you’ll be able to get done. 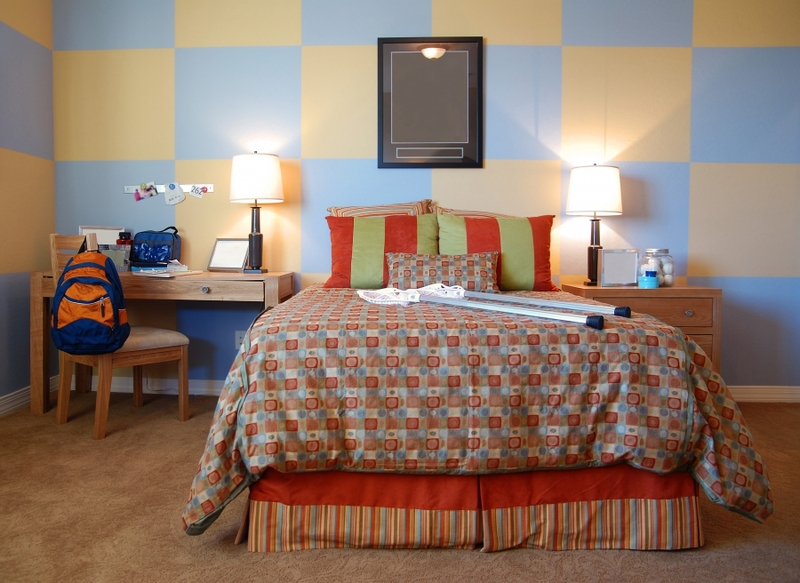 If you enjoy reading books and magazines before bed, consider adding a touch of task lighting to your bedroom. Task lighting can consist of many different light fixtures, and table lamps are a great example that many people utilize in their bedrooms on their nightstand. But don’t feel restricted to just table lamps, as a low-hanging pendant can work, too! At M&M Lighting, we offer a diverse array of table lamps and pendants and we would love to help you find the best lighting solutions for your home. If you’re interested in learning more about our lighting services or you’d like to learn more about task lighting, contact us today! If you’re looking for a way to improve the ambiance and decor of your bedroom, consider installing wall sconces. Whether you choose modern sconces or vintage-inspired sconces, these lighting fixtures are an excellent way to frame your bed. Sconces are not only functional and decorative, they can save you space on your nightstands for books or decorations. If you find a pair of sconces that you’d like to install near the head of your bedframe, consider wiring them with dual switches. This will allow you to have a light switch near the bed and by the door for easy access. This way, you’ll be able to operate the lights when you enter the room and when you crawl into bed. If you’re trying to turn your bedroom into a romantic haven, installing dimmable lights may be the perfect way to set a romantic tone. If you currently have a large chandelier or pendant hanging over your bed, a lighting professional can help you transforms its on/off functionality into a rainbow of options. At M&M Lighting, we’ve helped hundreds of homeowners transform their bedroom environment into a welcoming and romantic atmosphere. Contact our lighting experts in Houston today to learn how!